Everett Griner talks about the possibilities of the drought continuing in 2017 in today’s Agri View. 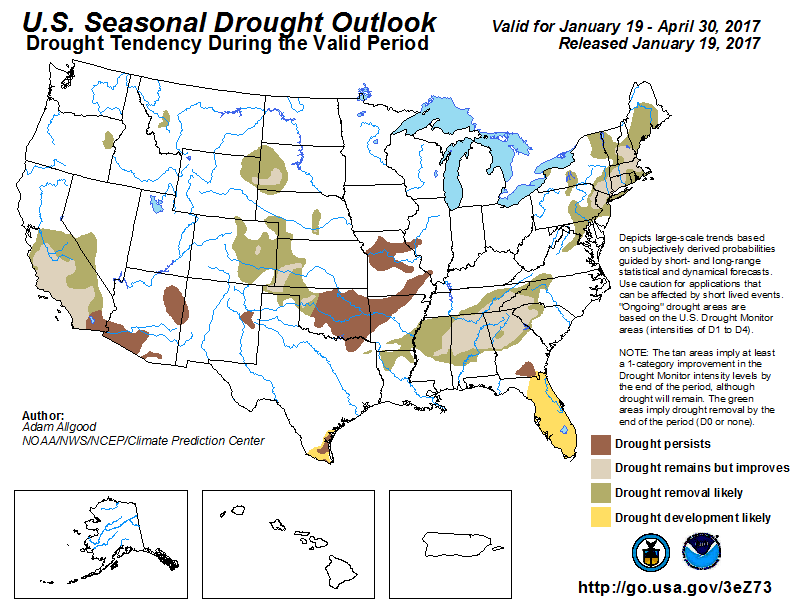 It was late last fall before the long hard drought slammed agriculture across the south and this state. Notice I didn’t say end. It is still dry in some areas and surface water levels remain low. There is a lot of optimism about the rest of this year. NOAA’s Climate Prediction Center has already forecast a La Niña weather system that brought the last year’s drought to continue to develop through the winter. This coming winter. That means it will take a lot of irrigation to produce a crop this year. Here is a good part. NOAA is lowering the odds. The last forecast I saw put the average at 55 percent. All of the Gulf Coast states. Florida to Texas and parts of the southern high plains will all be included. Well I guess it is better to know from the start what your chances are. That way you will not be too disappointed. That’s Agri View for today. I’m Everett Griner.